A description of the current ministries St. Paul's offers, such as the Altar Guild, Buildings and Grounds, Godly Play, and Society of Mary. St. Paul's has several different ministries that help support and enhance its spiritual mission. Without question, the oldest organization in the parish is the St. Agnes Altar Guild which started in 1884. 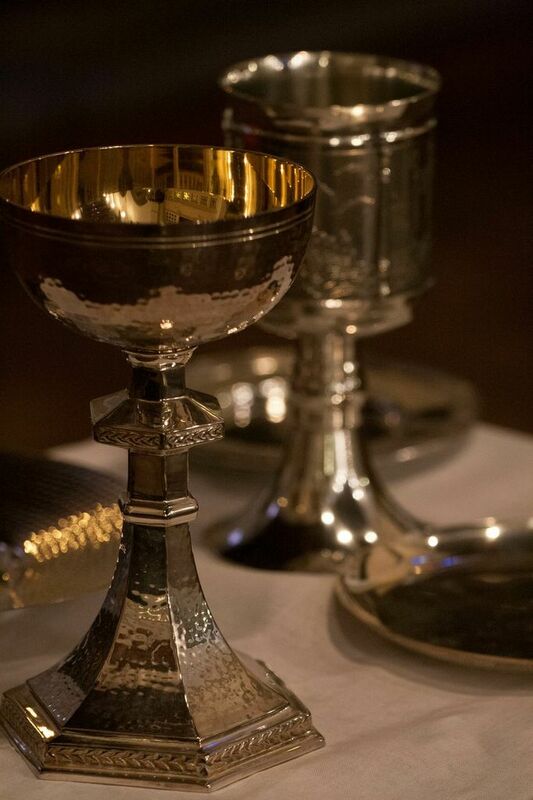 Members of the guild clean all of the silver, dressings, linens, and vestments for each worship service, fill the candles with oil for each mass, and maintain the altar linens and priest’s vestments. Established in 1893 with an active membership worldwide, the Society of Mary aims to love and honor Mary by seeing her as a model for living the Christian way of life. The Society is active at St. Paul’s parish in both prayer ministry and in community service to help with the educational needs of under-privileged children. 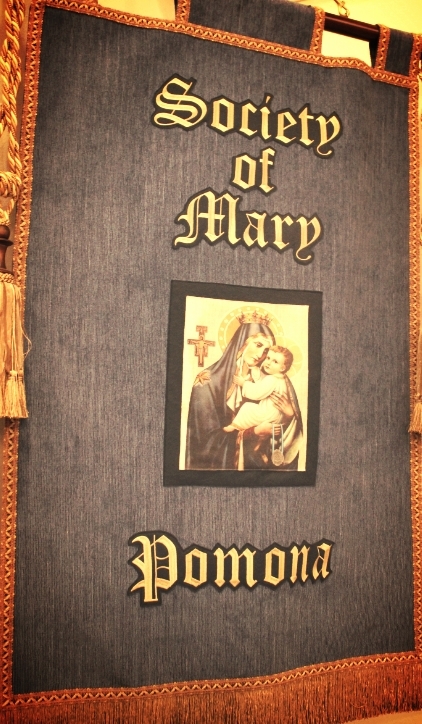 In Pomona, the Society erected and helped maintain the neighborhood outdoor grotto of Mary of Nazareth, Prophet of Peace, as a safe place for prayer for the youth. The Society celebrates major feasts of the Blessed Virgin with Mass, Vespers, or Benediction of the Blessed Sacrament. Our ward helps establish new wards in other parishes, and members of the Society pray a month-long rosary for those who request it. The Pastoral Care ministry at St. Paul’s helps transform us into people who care compassionately for one another in all stages of the life journey. There are many opportunities for Pastoral Care at St. Paul’s including spiritual counseling, weekly healing mass, lay eucharistic visits to the sick and shut-ins, pastoral visits to those in the hospital or are ill at home, and trainings in intercessory prayer. The Daughters of the King is an order for women who are communicants of the Episcopal Church. Its purpose is to bring others into a living, loving relationship with Jesus, our Lord and Savior, and to help strengthen the spiritual life of the community. Members are involved in all aspects of the work of the parish. Special service projects of our Chapter are that of Eucharistic Visitors, providing a sacramental ministry for parish members who are unable to attend church and responding to prayer card requests from Parishioners requesting daily prayer for themselves or others. The Daughters are also St. Paul's bereavement team, communicating with family members of parishioners who have recently died, helping with a reception after the service if requested, and being a constant support team. Women interested in joining should should feel free to contact Jamie Walters at jamiemwalters@hotmail.com. St. Paul's strongly believes in the practice of Christian Meditation. 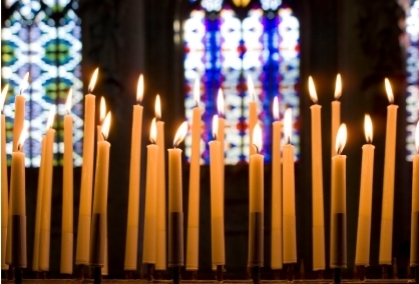 Each Sunday during the 10am mass, St. Paul's spends two minutes in centering prayer, "a method of silent prayer that prepares us to receive the gift of contemplative prayer, prayer in which we experience God's presence within us, closer than breathing, closer than thinking, closer than consciousness itself. This method of prayer is both a relationship with God and a discipline to foster that relationship." The Buildings and Grounds ministry strives to be stewards of the physical space of St. Paul’s, inside and out. We meet on the third Saturday of the month for breakfast and fellowship and then continue on to St. Paul’s for a planned workday. For current meeting times, please visit our calendar of events. If you are interested in joining the Buildings and Grounds ministry, please contact the church office: 909.622.2015.